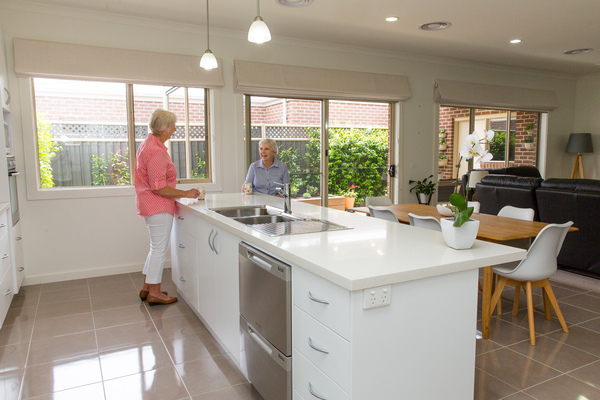 Residents are spoilt for style and space with the villas on sale at Kensington Reitrement Village. Kensington Retirement Village is a vibrant community with resort style facilities nestled on the Bellarine Peninsula at Leopold. The village is close to public transport, shopping centres, medical facilities and a sealed walking track. The village comprises 71 modern, stylish, spacious villas of two or three bedrooms and set amid landscaped gardens. The villas have either single or double garages and one or two bathrooms along with delightfully planned kitchens and open-plan living. A state-of-the-art community centre incorporates has lounge and dining areas, billiard tables, a theatre room and a well-stocked library. The village’s gymnasium features an indoor pool, a spa and a sauna. The village also offers activities including as singing group, aqua aerobics, gym classes, bowls, bocce, a walking group, cards games, bingo, art, craft and a happy hour. The beautiful landscaped gardens are enhanced by a bowling green, bocce and croquet courts and an enclosed BBQ area. Caravan and boat storage is available. 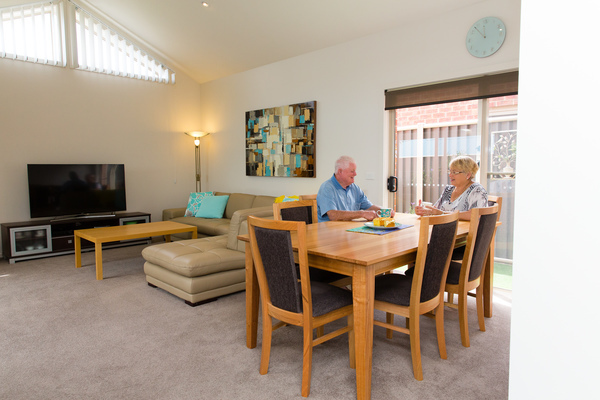 Kensington Retirement Village is open for inspection 9am to 4 Monday to Friday and by appointment on weekends. Staff are happy to conduct tours, answer any questions and provide plans of the villas along with any other information. Appointments for tours or to request mailing of an information pack are available by phoning 5250 1675 or emailing info@kensingtonrv.com.au. The village’s website is at kensingtonretirementvillage.com.au.